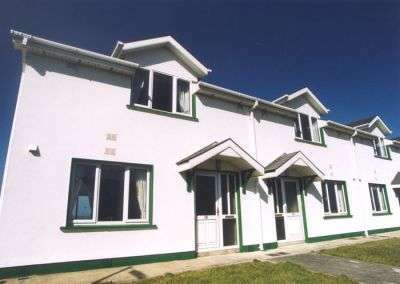 Self Catering Holiday Homes Ireland near the Beach! 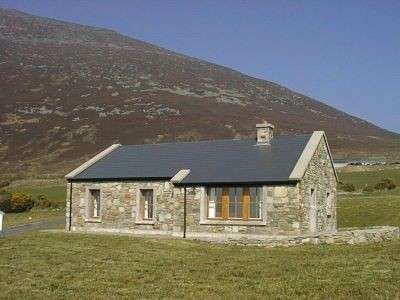 These lovely cottages are situated 5 minutes drive from Dugort village and beach, at the foothills of the Slievemore mountains. 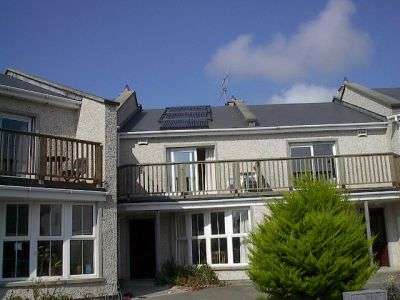 Situated within easy walking distance of the beach and town centre (approx. 10 minute). 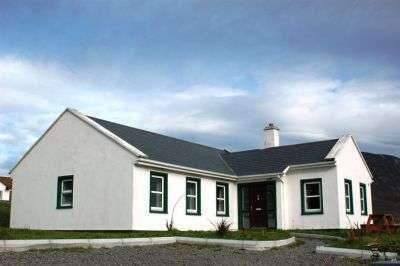 These modern self-catering holiday homes in Clare are set around an Iron Age Stone fort within walking distance of Kilkee. These modern self-catering holiday homes in Clare are set around an Iron Age Stone fort with a breathtaking views over the Atlantic Ocean. 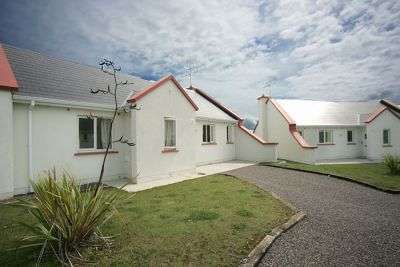 These spacious detached bungalows are situated the seaside town of Keel, the main town on Achill Island. Each house is tastefully decorated and sleeps up to six people. There are 2 double bedrooms and 2 single (4ft double) bedrooms. 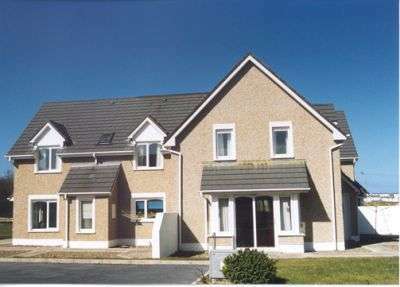 3 bedroom self catering holiday homes that sleep 6 people located in the pretty sea side village of Lahinch. Aug 27th – 3rd Sept is Toddler Week at Sand Dune Cottages, Banna Beach, Co Kerry so book now and save €200 as rates are reduced. Sandycove Beach Villas are located in a gated development looking out onto the Atlantic Ocean. They are 3 bedroom sleeping up to 6 people.There is an open plan kitchen/living area with comfortable leather seating, wood burning stove, fee to air satelite reception. 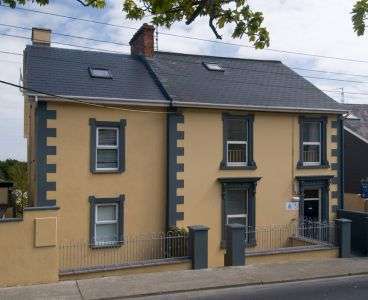 Beach Haven Studios are a perfect option for visitors who want to stay in the heart of Tramore and close to the beach and town centre and be somewhat independent. Families with children are welcome and everything possible will be done to ensure that you have an enjoyable stay. Tramore has a special emphasis on Family holidays with loads of local attractions and fun things to do for everyone. 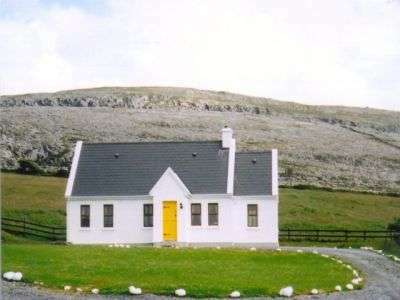 This scenic, uncommercialised area is great for walkers, with a good local pub and a larger selection of pubs and restaurants in the nearby villages of Ballyvaughan (9km) and Doolin (15km). The cosmopolitan city of Galway and the market town of Ennis are each one-hour’s drive. 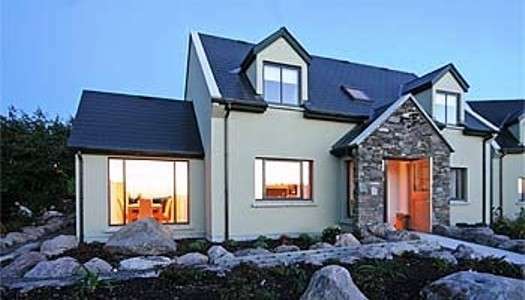 Fanore Holiday Cottages afford the visitor every modern comfort while retaining the charm of the traditional Burren cottage. 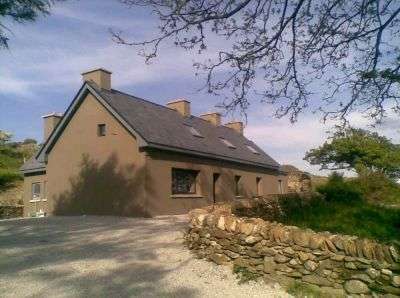 It is this perfect combination of the old and the new that make Fanore Holiday Cottages a special holiday haven. 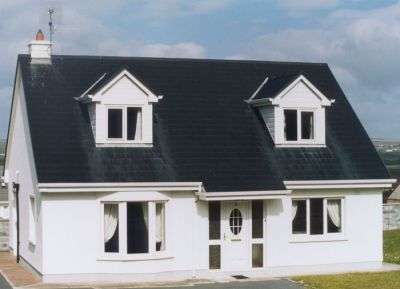 Klondyke Close is an exclusive development of 5 detached holiday cottages located beside the Waterville Craft Market and Dooley’s Restaurant and just a 3 minute walk to the beach and the town centre where you will find a large selection of award winning restaurants and local pubs. 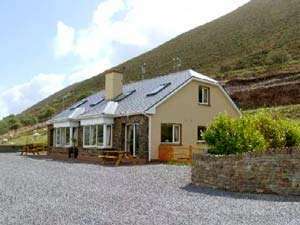 The area is one of marvellous beauty, Rossbeigh Beach is just 500 metres from the house and is truly one of Ireland’s most beautiful beaches offering spectacular view across to Inch beach and the Dingle Mountains. 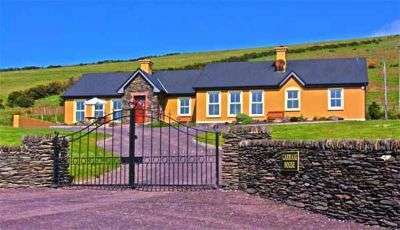 Other nearby activities include horse riding, angling, hill walking, Burkes Activity Centre which has a wonderful animal farm and of course the famous Ring of Kerry Drive. A large Irish cottage recently renovated into a modern luxurious holiday home whilst retaining the original stone structure of the cottage. Set on a 1.5 acre plateau overlooking Streamstown Bay, the setting is spectacular. 3 miles from Clifden and the seaside village of Claddaghduff. Our rooms come in single, double, twin and family rooms all with ensuite bathrooms. All linen is provided free of charge. There is a communal kitchen, dining, and lounge area for our residents’ use. We also provide free broadband internet access for all our guests. 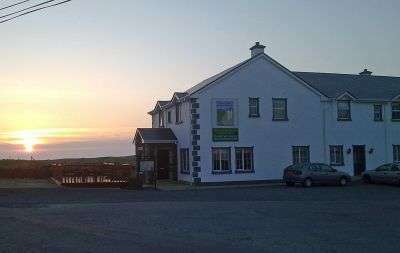 We are situated at the western extremity of the Sliabh Liag peninsula, in the wonderfully remote parish of Glencolmcille. In a landscape of timeless beauty lies the remnants of ancient past-pagan and Christian, rooted in quiet contemplation on hillside, valley, bog and isle. The area hosts approximately eighty documented archaeological sites spanning a period of 5000 years including important examples of virtually all monument types known nationally. From Dublin via Cavan, Enniskillen N3 From Dublin via Sligo N4 – N15 From Galway via Sligo N17 – N15 From Belfast via Enniskillen M1 – A4 – A46 Driving Time to Glencolmcille: Dublin to Glencolmcille – 4.5 hours approximately. Galway to Glencomcille – 4 hours approximately. Derry to Glencolmcille – 2 hours approximately. By coach – services operate to/from Glencolmcille offering connections to Dublin, Galway and Belfast. Services are through McGeehans and Bus Eireann By rail – the nearest railway station is Sligo, which has frequent services to/from Dublin. McGeehans and Bus Eireann run services from Dublin to Glencolmcille, County Donegal with a direct daily service at 6.00 pm. You can find information on McGeehan coaches, timetable and costs at their site McGeehans or phone (074) 9546150, prefix with 00 353 if calling from outside Ireland. Bus pick up at the Central Bus Station, Dublin traveling to Glencolmcille, County Donegal. You can find information on Bus Eireann’s timetable and costs at their site Bus Eireann, email: info@buseireann.ie or contact Bus Eireann Donegal on (074) 97 21101. Note that there are extra services on Fridays. Bus Information – Galway to Donegal: Feda O’Donnell – phone 074 95 48114. 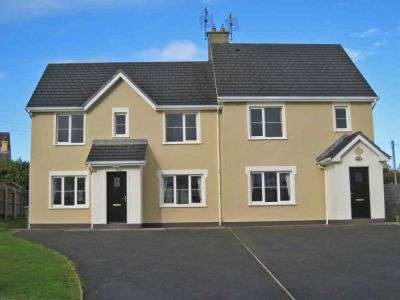 For more information contact (074) 95 48114 or visit their website at Fedaodonnell. The Gold Coast Hotel and Golf Resort is the ideal choice for a fun family break in Waterford. The leisure centre is one of the finest in the area.The Gold Coast Golf Resort, the largest complex of self catering in Dungarvan and Waterford, offers superior holiday home accommodation set adjacent to an 18 hole mature parkland golf course and overlooks unspoiled Dungarvan Bay. The Gold Coast Hotel and Golf Resort is the ideal choice for a fun family break in Waterford. The leisure centre is one of the finest in the area. 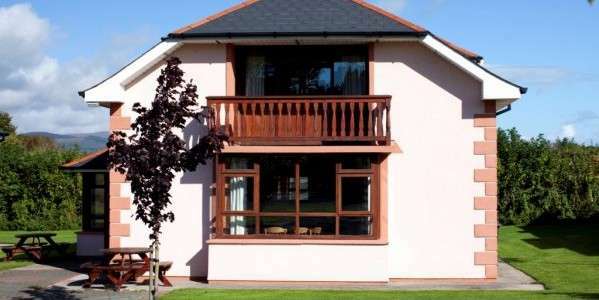 The resort offers superior holiday home accommodation set adjacent to an 18 hole mature parkland golf course and overlooks unspoiled Dungarvan Bay.